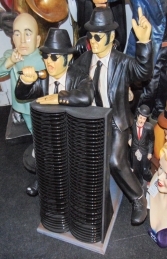 These great dancing 3ft figures are full of the energy of the Blues Brother film characters Jake and Elwood. This model also doubles up as a disk holder. 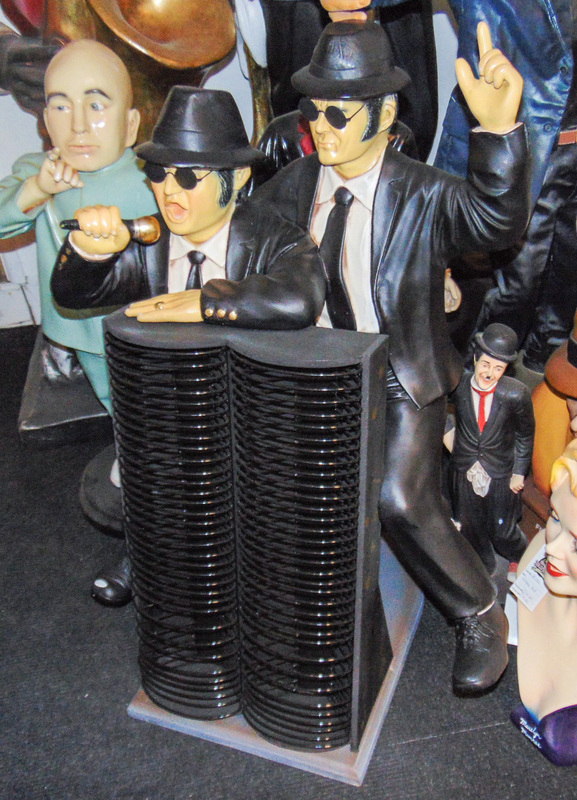 This pair of dancing Blues Brother figures are very popular if you don't have room for the life-size versions (JR 745 A&B). These guys also double up as a disk holder. 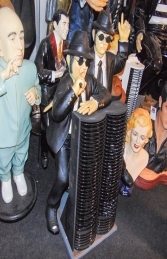 Made of cold-cast poly-resin and fibre-glass these 3D models of Jake and Elwood are ideal for music, entertainment and Hollywood themes, Movie and film displays, advertising or drawing attention to your business or for the home and garden. As they are only 3ft tall approximately they fit on counter/bar tops or in alcoves.